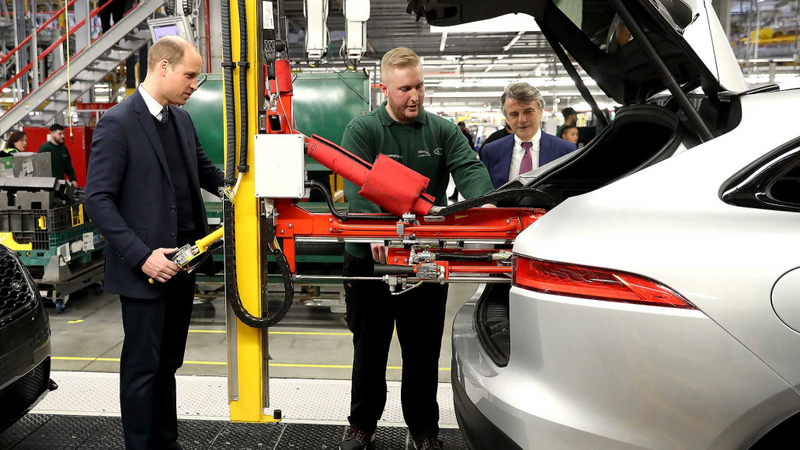 Car production in the UK slumped for the ninth month running in February 2019, with falls in demand from every major market contributing to an overall decline of 15.3 percent. UK demand was down 8 percent and exports to Europe, the biggest purchaser of British-built cars, was down almost 15 percent. Demand from China was down a staggering 55.6 percent. As almost 8 in 10 UK-built cars are exported to Europe, Society of Motor Manufactures and Traders (SMMT) chief executive Mike Hawes called the latest figures a “wake up call to anyone who think this industry, already challenged by international trade hostilities, declining markets and technological disruption, could survive a ‘no deal’ Brexit without serious damage. Brexit-induced uncertainty, said Hawes, has already “paralysed investment, cost jobs and damaged our global reputation. 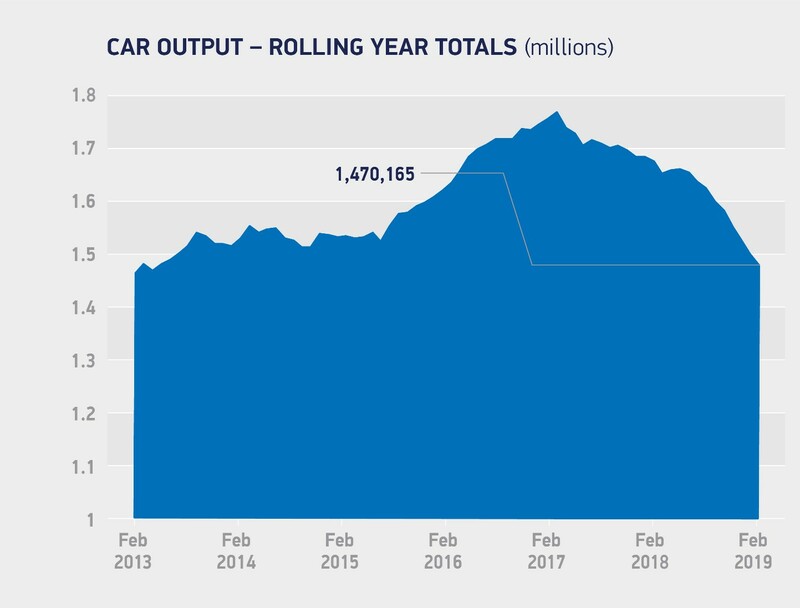 The SMMT revealed figures showing the rolling year totals for car output in the UK is around 1.47 million vehicles – a low not seen since February 2013, and well down from the high of over 1.75 million vehicles recorded in February 2017. The automotive industry is now calling for a cross-party consensus on Brexit, to remove the threat of no deal, delivering frictionless trade and finally providing certainty for the British car industry.